1.1 DEFINITIONS. As used herein, the words, “I”, “me”, and “my” shall refer to the principal cardholder whose name is embossed on the card, while the words “you” and “yours” shall refer to RCBC and /or RCBC Bankard Services Corporation. “RCBC” is Rizal Commercial Banking Corporation, issuer of the CARDS; and “RCBC Bankard Services Corporation”, the entity servicing the credit card business of RCBC and implementing all actions pertaining to the RCBC CARDS for and on behalf of RCBC. The word “CARD/S” refers to RCBC Bankard Mastercard, RCBC Bankard VISA, RCBC Bankard JCB, and RCBC Bankard UnionPay issued by RCBC through RCBC Bankard Services Corporation in the cardholders’ and all other extension cardholders’ name. 1.2 THE CARD.The CARD remains your property and is not transferable. I shall surrender the CARD to you upon demand. 1.3. SUPPLEMENTARY CARDS. If a supplementary card is issued upon my request, I shall be liable for all the charges made on the said card including interest fees and other charges which shall be included in the total outstanding balance. Should I request for the cancellation of my supplementary card, I agree and bind myself to pay and be liable for purchases made through the card even after the request for cancellation there of. 1.4 CARD ACTIVATION. Activation of my card is subject to the RCBC Bankard’s policy and procedures, which may include further credit evaluation and/or document submissions. RCBC Bankard reserves the right to decline my card activation request without any obligation to disclose the reason therefore. I shall hold the bank free and harmless for any claim arising from the non-activation of my card. I understand and agree that my card may be delivered activated, unless otherwise specified. 1.5. CASH ADVANCE PERSONAL IDENTIFICATION NUMBER ( CA-PIN). Subject to RCBC Bankard’s policies and procedures. I will be provided with my CA-PIN for the use of the card’s cash advance facility. I shall keep my CA-PIN strictly confidential and not disclose it to any other person. I shall be liable for all losses resulting from my failure to handle my card and CA-PIN with utmost due care. 1.6 CREDIT LIMIT.You shall have the sole discretion to determine the amount of my credit limit. I will be given a credit limit expressed in either Philippine Pesos (local currency) or U.S. Dollars as approved by you, inclusive of cash advance limit, which will be my maximum allowable outstanding balance at any time. My credit limit will be shared by all my supplementary cardholder/s. In case I am issued more than one card by you, I will abide by the condition that I may, at your sole discretion, be given a separate credit limit for each of the credit cards I avail myself of, or a consolidated credit limit for all cards, expressed in either Philippine Peso or U.S. Dollar as deemed applicable by you. I may request for an increase or decrease in credit limit subject to your approval. 1.7 VALIDITY.Subject to RCBC Bankard’s existing policies, rules and regulations, the CARD will be honored by affiliated merchants or merchants where the Mastercard, VISA, JCB and/or UnionPay logos are accepted upon my due presentation while I am a Cardholder in good standing. I am in good standing if all my accounts are current, I have not exceeded my credit limit, and my credit card privileges are not otherwise suspended, cancelled, or terminated, or have not expired. You shall have the option to reinstate my credit card privileges. 1.8 MERCHANT ACCEPTANCE.The CARD is accepted worldwide by accredited establishments contracted to accept the CARD or where the Mastercard, VISA, JCB and/or UnionPay logos are honored. I shall hold you free and harmless from any liability if (1) the CARD is not honored by any merchant for any reason beyond your control such as but not limited to the merchants’ refusal of cardholders who are suspected of being fraudulent and/or (2) You refuse, at your option, to grant credit authorization for any purchase notwithstanding the availability of credit in my favor under my CARD Account for any reason such as but not limited to prevention of fraud activities. Furthermore, I will not hold you liable for any defective product or service purchased through the CARD. Any dispute between me and the merchant shall not relieve me of my obligation to pay all charges arising from the use of the CARD. 1.9 EXPIRY AND RENEWAL OF THE CARD.Unless either terminated or cancelled, the CARD shall be valid up to the last day of the month indicated thereon. The renewal of the CARD shall be at your sole discretion. If my CARD is not renewed, the whole obligation becomes immediately due and demandable. 1.10 PRODUCT FEATURES AND BENEFITS. RCBC Bankard has the right to change, alter, revise or modify all the CARD features and benefits and I will be notified of these changes. My continued use of the CARD after notice shall be deemed as agreement to all these modifications. 2.1 STATEMENT OF ACCOUNT. (SOA) A monthly Statement of Account (SOA) will be given to me showing my Statement Date, Outstanding Balance as of Statement Date, Payment Due Date and minimum amount due. If I am issued a Dollar card, all my purchases in currencies not in U.S. Dollar shall be converted to U.S. Dollar; if I am issued a Peso card, all my purchases in currencies other than Pesos shall be converted to Philippine Pesos. The SOA shall be in its applicable currency. In case I do not receive said SOA, I shall immediately inform you thereof. In the absence of any report of non-receipt of the SOA, I am deemed to have received the same. The absence of the SOA or my failure to receive the same shall not relieve me from paying all charges arising from the use of the CARD on due date. The SOA shall form an integral part of this Agreement. In the event of any error in the SOA, I hereby agree to notify you immediately of said error. If no error is reported within thirty (30) days from my Statement Date, I agree and confirm that you can conclusively consider the SOA as true and correct. I hereby waive the presentation of the charge/sales slips to prove the transactions/availment in the Statement of Account. 2.2 BILLING DISPUTES/ERRORS. The entries in the SOA are presumed true and correct unless I notify RCBC Bankard in writing of any dispute within thirty (30) days from my statement date. If I notify the bank of a dispute in my SOA, I have the option not to pay the disputed amount while the bank is conducting an investigation, but I must pay such portion of the total outstanding balance which is not in dispute or the minimum payment due on or before the payment due date. The bank shall treat the disputed amount as an outstanding availment against my credit limit. If after the investigation, the claim is established to be valid, I am not liable to pay any interest charges and late payment charges related to the disputed amount only. Otherwise, I am liable to pay the disputed amount as well as the corresponding interest charges and late payment charges due thereon computed from the transaction date up to the date of dispute resolution. After having conducted its investigation, the bank’s findings are conclusive. The bank reserves the right to qualify the type of transactions/charges that may be considered for dispute. 3.1 LIABILITY OF THE PRINCIPAL AND SUPPLEMENTARY CARDHOLDERS, CO-OBLIGOR, AND COMPANIES. I shall be liable to you for amounts charged to my CARD, including the finance charges or interest, all fees, full annual membership fees and other charges whether made in the Philippines or abroad. For ATM Cash Advance transactions, any use of the CARD together with the Cash Advance PIN to obtain cash in any authorized ATM constitutes my agreement to the Terms and Conditions governing the issuance and use of the CARDS’ Cash Advance Facility. Iunderstand that additional service fee from Cash Advance availed of is charged tomyaccount.Iagree that all cash advances shall be conclusively presumed to have been personally madebyme. The principal cardholder and the co-obligor, if any, shall be jointly and severally liable to pay all purchases, cash advances and all charges including but not limited to, the non-refundable fees, charges and taxes required by the government, made and imposed through the use of the principal and supplementary card(s), without necessity of proof of a signed charge slip or other documents. In case of corporate accounts, the company and its authorized representative(s) shall be jointly and severally liable for the payment of the same, without necessity of proof of a signed charge slip or other documents whether or not the same were incurred for the company. Said obligation shall continue in case the credit card is renewed or reinstated by RCBC Bankard, even without the written conformity of, or notice, to the co-obligor, and despite the suspension or termination of the credit card. 3.2. MONTHLY INSTALLMENT DUE.The Monthly Installment Due forms part of the Minimum Amount Due in the Statement of Account. If I choose to pay only a portion of the Total Balance Due as indicated in the Statement of Account, the unpaid portion of the Installment Due shall be subject to the monthly interest charges at the prevailing rate. Usual monthly late charge applies. The computation of the Monthly Installment Due shall be on a diminishing balance basis under which the allocation of payment to the principal and the interest of the Monthly Installment Due over the term (number of months) is not equal. 3.3 PAYMENT OF CARD AVAILMENTS AND CHARGES. The Minimum Amount Due is either (a) the total outstanding balance within my credit limit multiplied by the required payment percentage determined by you plus the entire excess over the credit limit, all past due amounts and late payment penalty fees, if any or (b) Php500 for Peso card or USD15 for Dollar card, whichever is higher. I understand that checks used for payment will be credited to my account only upon collection as per usual transit/clearing schedules for local and outstation credits, net of charges from the drawee bank and your own charges. In case I am issued two or more cards by you, I hereby authorize you without any obligation on your part, to unilaterally apply, without notice to me, payments made by me, or amounts from overpayments to any of my accounts at your option and sole discretion. All amounts remaining unpaid after the Payment Due Date will form part of the minimum amount due and will be considered delinquent. I will then be liable to pay penalty, interest and other charges as applicable. You reserve the right to demand the payment of the obligation in full including all unbilled transactions, in case of default. These terms and conditions shall remain in full force and effect until full and final payment of my total outstanding obligation with you. 3.5 AUTOMATIC DEBIT ARRANGEMENT. I may opt to enroll in the automatic debit arrangement (ADA) facility to authorize the bank to debit the minimum payment due or total outstanding balance on each monthly SOA against my savings or current deposit account maintained with at any RCBC bank. 4.1 MEMBERSHIP FEES. I will be charged Membership Fee in the amount to be determined by you for the use of the Card and/or the other facilities and services which may from time to time be made available to me and/or for the maintenance and administration of any balance or transaction on the Card. I agree to pay said fee, which may be charged to the credit line or on any available fund on the Card account. All fees paid are non-refundable. 4.2 INTEREST.Every Payment Due Date of each billing cycle,Ihave the optionto pay the Total Outstanding Balancein full or the minimum amount due as indicated inmy Statement of Account, or any amount in between. Interest will be charged if my payment by the Payment Due Date is less than the Total Balance Due, if no payment is made to the CARD by Payment Due Date, if a Cash Advance transaction has been made. The interest will be imposed at the current interest rate on the (a) unpaid Cash Advance balance (including interest charges and fees) from acquisition date until both the Cash Advance balance and its related charges are paid in full; and (b) unpaid balance (inclusive of interest charges and fees) stated in the previous Statement of Account and on all new transactions incurred within the previous statement period computed from the transaction date until the current statement date. 4.3 INTEREST COMPUTATION. Interest is computed as follows: For Retail transactions: (1) Multiply the applicable monthly interest rate to Retail Transactions, instalment amortizations, any retail fees and non-interest charges for the day and divide it by 30. The interest on Retail transactions and instalment amortizations in the current statement date will not be included until the next statement date. (2) Multiply the applicable monthly interest rate to previous day’s retail outstanding balance and deduct any payment made during the same day, following the application of payments, and divide it by 30. The interest computed in (1) and (2) will be the total interest for the day on Retail transactions and outstanding balance. The new retail outstanding balance will be the previous statement balance plus retail transactions, instalment amortizations, retail fees and non-interest charges less payment. The retail interest for the month is the sum of the interest for each day from the day after the previous statement date to the current statement date. Interest charged on retail transactions and instalment amortization will be added to the retail outstanding balance in the next statement date while interest charged on the retail fees and non-interest charges will be added to the retail outstanding balance in the current statement date. For Cash Advance transaction: (1) Multiply the applicable interest rate to Cash Advance availments and its related non-interest fees and charges for the day and divide it by 30. (2) Multiply the applicable monthly interest rate to previous day’s cash advance outstanding balance and deduct any payments made during the same day, following the application of payments, and divide it by 30. The interest computed in steps 1 and 2 will be the total interest for the day on cash advance. The cash advance outstanding balance will be the previous statement balance plus cash availments and its related non-interest fees and charges less payment. Interest charged on Cash Advances will be added to the Cash Advance outstanding balance in the current statement date. The process is repeated until the next statement date. 4.4 MINIMUM FINANCE CHARGE FEE. I will be charged a minimum finance charge if the calculated amount of my finance charge is less than the minimum finance charge set by RCBC Bankard for a billing cycle. 4.5 LATE PAYMENT FEES.The past due balance indicated in the SOA shall be charged with late payment fee for every month of delay. A fraction of a month shall be considered one month. Late payment charges due and unpaid shall form part of the principal balance and shall continue to be assessed and be charged with interest per month until my account is fully paid. Provided it is within reasonable time and with prior notice to me, you shall have the right to change the rate of the late payment fee. 4.6 MULTIPLE PAYMENT FEE. I shall be allowed a maximum of three (3) payment transactions in RCBC Bankard’s accredited payment channels, posted within my statement cycle. After which a fee, will be charged for each RCBC Bankard credit card posted payment after my 3rd posted payment transaction. Payment made at any RCBC or RCBC Savings Bank will not incur any charge. 4.7 RETURNED CHECK FEE. This will be charged for each returned check. 4.8 RETRIEVAL FEE. This may be charged for the retrieval of any charge slip or sales invoice copy. 4.9 FOREIGN EXCHANGE TRANSACTIONS. For Philippine Peso-denominated cards, all charges and transactions made in currencies other than Philippine Peso shall, in accordance with your procedures, be automatically converted to Philippine Peso at an exchange rate determined by you or the Mastercard/Visa/JCB/UnionPay. For US Dollar-denominated cards, all charges and transactions made in currencies other than US Dollars shall, in accordance with your procedures, be automatically converted to US Dollars at an exchange rate determined by you or the Mastercard/Visa/JCB/UnionPay. The exchange rate applied is determined on the date of posting to my Card account and may be different from the rate in effect on the date the transaction is made. The converted amount shall be charged a service fee representing the assessment fee(s) charged by Mastercard/Visa/JCB/UnionPay and RCBC’s service fee. The order confirmation for mail order/telephone order and Internet transactions or the delivery form/receipt or the sales/charge slips which I sign each and every time a purchase is made through the use of the CARD shall constitute and be considered and construed by you as the written Application required by CB Circular No.1389 to enable me to purchase the foreign exchange necessary for all my non-trade transactions using the CARD. If I opt to have my foreign currency transactions converted to my card’s billing currency at point-of-sale by the merchant, whether executed in the Philippines, abroad or online, a service fee will be charged by you on top of any currency conversion fee charged by the merchant in order to offset the processing and assessment fee(s) charged by Mastercard/Visa/JCB/Unionpay. This additional fee shall apply regardless of the currency of the transaction, but will not be assessed on those transactions with a value of less than PHP 1,000 or USD20. 4.10 CASH ADVANCE SERVICE FEE. A cash advance service fee will be charged for every cash advance transactions/availed through an automated teller machine (ATM) or other channels. 4.11 GAMING FEE. A service fee shall be charged on gaming/gambling transactions and/or transactions made at the gaming/gambling establishments, including the placement of wagers, purchase of lottery tickets or other values in conjunction with any gaming or gambling activity. 4.12 CARD REPLACEMENT FEE. This will be charged per replacement card. 4.13 OVER LIMIT FEE. This will be charged whenever my outstanding balance exceeds the prescribed credit limit for my card on Statement cycle date. 4.14 INSTALLMENT PRE-TERMINATION PROCESSING FEE. This will be charged for the pre-termination of my installment transactions. 4.15 INSTALLMENT INTEREST. Also referred to as “add-on interest rate”, this will be charged on installment payment transactions. 4.16 DORMANCY FEE/CLOSED CARD ACCOUNT SERVICE FEE. For closed accounts which have credit balances, I shall make appropriate arrangements with RCBC Bankard to collect my credit balances within three (3) months from the date when the account is closed. Otherwise, RCBC Bankard shall deduct from such credit balance a fee representing administrative cost incurred by RCBC Bankard in maintaining my credit card account. Dormancy Fee is also applicable for open accounts which have credit balances, with no activity for 24 consecutive months. 4.17 QUASI-CASH FEE ON QUASI-CASH TRANSACTIONS. A quasi-cash fee shall be imposed on quasi-cash or cash-like transactions. 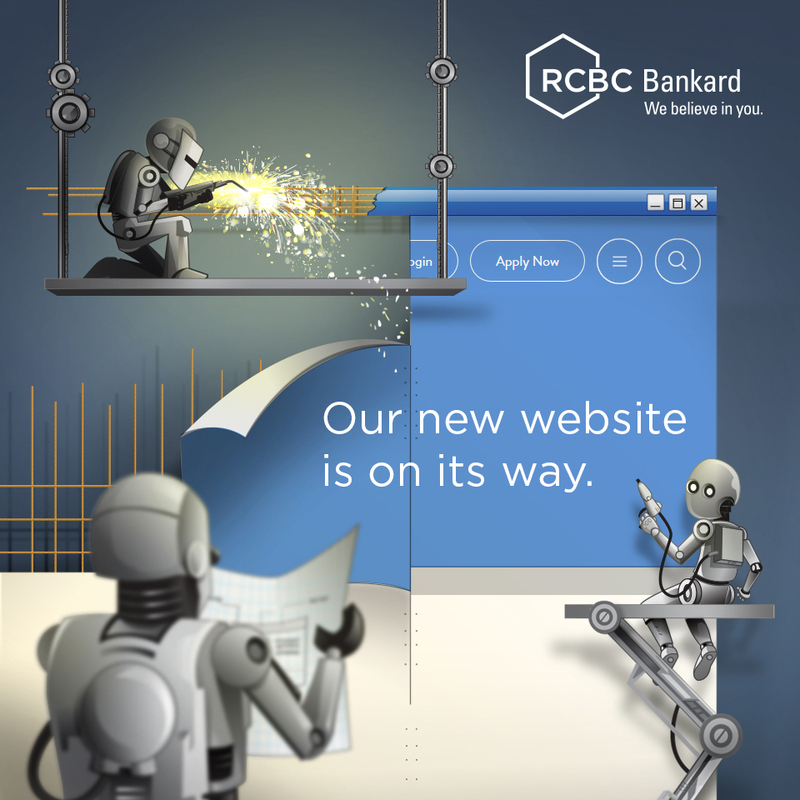 For the list of quasi-cash merchant categories, refer to the RCBC Bankard website. In determining transactions that are quasi-cash, RCBC shall rely on the Merchant Category Code (MCC) that has been assigned by the acquiring bank for the merchant. 4.18. OTHER FEES.I agree to pay such other fees relating but not limited to the processing of cash advance and/or payments that may be imposed by you at your option. I understand that amount of said fees may be revised from time to time as you may deem necessary. 4.19 CHANGES IN FEES AND CHARGES. You reserve the right to change, at any time and from time to time, the amount, rate, types and/or basis of calculation of all interest, fees and charges payable by me; provided, however that the changes shall become effective ninety (90) days from notice to me. The notice of changes of interest, fees and charges may be contained in the Statement of Account. You may change the new rates to the Card account and/or request that I pay the same on demand. 4.20. TAXES.I agree to pay whatever taxes may be imposed on my CARD transactions, fees & charges, based on existing as well as future regulations. 5.1 RCBC BANKARD INSTALLMENT.I may avail myself of RCBC Bankard’s Installment Program to purchase items/goods from designated RCBC Bankard Installment merchants if the card issued to me allows such installment transactions. I agree to pay the monthly installment until the account is fully paid using the repayment period I choose. My credit limit will be reduced by the amount of such purchases. I shall be informed of the amount of the monthly installments thru the sales slip that I sign or through my Statement of Account. The monthly installment will become part of my Outstanding Balance on which the minimum amount due is based. My monthly installment is computed in such a way that, after applying the payment to interest due for the billing period and whatever remains of the payment towards principal, for the number of months I chose, my purchase is totally paid. The interest rate charged on RCBC Bankard’s Installment transactions may be different from the one used to compute interest charged when I pay the minimum amount due on my regular non-installment card usage. If I do not pay in full my billed outstanding balance which includes regular and installment balances, my monthly installment will be charged interest. If I wish to prepay any of my installment purchases, I will inform you and you shall then bill the remaining balance in my next statement. If applicable, in addition to using my CARD to purchase from RCBC Bankard installment merchants, you may also grant my request to convert a part of my non-installment outstanding balance to an installment transaction, provided I am in good credit standing. Such balances converted will be treated like a usual installment transaction from the date that you grant such request. 6.1PRODUCTS AND SERVICE OFFERS.I hereby allow and authorize you, your subsidiaries, affiliates, agents and representatives and third parties selected by you and certain companies, to offer specially selected products and services to me/us through mail/e-mail/fax/SMS or by telephone. This constitutes my/our written consent for any transfer and disclosure of my/our names, addresses, contact details, account and relationship balances/numbers and other relevant information to, between and among you, your branches, subsidiaries, affiliates, agents and representatives and third parties selected by any of you and selected companies for the purposes indicated above. 6.2. LOST AND STOLEN CARD. If my CARD is lost or stolen, I am liable to pay any and all transaction/s made on the CARD prior to my reporting the loss, theft or such similar circumstance to RCBC Bankard. If requested by you, I undertake to submit to you a written and signed statement of the circumstances surrounding the loss thereof. You may charge me a specified fee for the replacement of the lost or stolen CARD. In case of disputed charges billed to me, I understand that you may temporarily reverse such charges from my bill while you are investigating my claim. If your investigation proves however that availments made from report of card loss are valid, purchases and charges thereon by me or my extension cardholders, these charges will be posted again to my bill with retroactive interest charges and I will be liable for payment of said billings and interest. 6.3 CHANGE OF TELEPHONE NUMBER/S AND ADDRESS.I shall immediately notify you of any change in my residence, office, or mailing address and/or telephone number/s. I understand that my mailing address shall always be within Metro Manila and your prevailing geographic scope of coverage. In case my chosen mailing address is not accessible through mail or delivery, you have the option to use my other addresses. 6.4 CHANGES.I shall notify you in writing of any change in my civil status. I shall notify you also of any change in my citizenship and information. Further, I shall notify you of any change in my TIN issued to me for my overseas employment. 6.5 AUTHORITY TO RECORD AND USE RECORDING.By providing my telephone numbers and by calling or accepting calls from you (and your Service Providers), I authorize you to record, replay and communicate to any third party all conversations (including conversations with your Service Providers) on said phone number/line with me or any individual who may answer the phone on my behalf. I undertake to inform any individual who may answer the phone on my behalf, being my agent, that you shall record, replay, and communicate to any third party the conversation (including conversations with your Service Providers) with said individual on said phone number/line and that recording, replay and communication is being done with my consent and authority. I likewise authorize you to store the recorded conversation and agree that you may use the taped or recorded conversation against me or against any third party, in any proceeding and for any lawful purpose. You (including your Service Providers) shall not be liable for any loss, damage or expense which I may suffer as a result of your (or your Service Providers) acting on such telephone communications. I likewise understand and agree that such taped or recorded instructions shall be conclusive evidence of my communication with you and may be used by the latter against me or any third party for any purpose particularly as evidence in any proceeding, judicial or administrative, without incurring any liability. 6.6. DISCLOSURE.I hereby give consent to the transfer, disclosure and communication of any information relating to me (including information you obtain from third parties such as any credit bureau, credit information, service providers, credit and loan providers, financial institutions) from you to, between and among your branches, subsidiaries, affiliates, agents and representatives and third parties selected by any of you (collectively referred to as the “Receiving and Disclosing Parties”), wherever situated, for use (including for use in connection with the provision of any products and services to me, and for data processing and storage, customer satisfaction surveys, product and service offers made through mail/e-mail/fax/SMS or telephone, anti-money laundering and monitoring, reporting under the Foreign Account Tax Compliance Act (FATCA), where applicable, review and reporting, statistical and risk analysis and risk management purposes). In addition to the foregoing, you or any of the Receiving and Disclosing Parties may transfer and disclose any information as may be required by an applicable law, regulation, court, regulator or legal process. Without prejudice to the generality of the foregoing, wherever you are user, member of or subscriber for the information sharing services of activities of, any credit bureau, banking or credit industry associations, credit information service provider, credit and load providers (individually or collectively referred to as “Credit Institutions”), I expressly authorize: (a) you to transfer and disclose to any such Credit Institutions; and (b) any such Credit Institutions to transfer and disclose to any user, fellow member or subscriber, any information (and updates or corrections), whether positive or negative, relating to me and/or any of my account(s) with you (and for such purposes). I acknowledge that such information shall include basic credit data under the Credit Information System Act (R.A. 9510), ie., personal information or demographics, account information, account status, and monthly summary or snapshot of the account. Where I have existing unsecured credit facilities with you, I agree and consent to your reviewing and adjusting the credit limit of such unsecured facilities at your absolute discretion in accordance with your credit and risk management policies. The foregoing constitutes my consent for any transfer and disclosure of information relating to me/us and my/our account(s) to, between and among you, the Receiving and Disclosing parties or Credit Institutions for any of the purposes above or under applicable law, regulation, court, regulator or legal purposes. I agree to hold you, branches, subsidiaries, affiliates, agents and representatives free and harmless from any liability that may arise from any transfer, disclosure or storage of information relating to me and/or any of my account(s) with you. 6.7. DEFAULT.I shall be considered in default in the event that (i) I fail to pay any of my obligations on one or more CARDS (ii) I fail to observe any of the terms and conditions governing the issuance and use of the CARDS, (iii) I fail to observe any of the terms and conditions of any contract/evidence of indebtedness and/or other related documents I executed or which you issued in connection with any credit facilities granted in my favor by you or another financial institution, (iv) any information, document, representation or warranty made by me in my application form proves to have been fraudulent, untrue, incorrect or misleading at the time it was made. (i) The right to use the CARD and all other CARDS issued by you to me shall be revoked without notice, which I hereby expressly and willingly waive. (ii) The entire unpaid obligation (including unbilled balances) and all other fees, charges and amounts payable under this Agreement and under any of my credit card accounts with you shall become immediately due and payable without demand, protest or further notice of any kind, all of which I hereby expressly waive. (iii) I agree to pay finance charges and late payment penalty charges as applicable. If you need to refer my case to a collection agency or through an Attorney-at-Law, I shall be liable to pay the cost of collection and/or attorney’s fees equivalent to twenty-five percent (25%) of the amount claimed and the expenses of litigation and judicial costs as applicable. (iv) I authorize you to submit my name to the Credit Bureau. (v) I authorize you and RCBC Savings Bank (RSB) to debit from my account with you and/or RSB to pay you my outstanding obligation or any portion thereof. In the event that my account shall be referred to a collection agency or an attorney-at-law for collection, you shall notify me in writing of the endorsement of the collection of my account, or the endorsement of the account from one collection agent or attorney to another, at least seven (7) days before the actual endorsement. The notification shall include the full name of the collection agency and its contact details to which my account will be endorsed. 6.8. RIGHT TO OFFSET– Pursuant to the provisions of Articles 1278 to 1290 of the New Civil Code of the Philippines, as amended, in the event I/we fail to pay any obligation arising from the use of my/our RCBC Bankard, I/we hereby agree to voluntarily surrender, as a form of payment for unpaid obligations, any and all deposits, securities, properties (real or personal) and other things of value which are currently or at a later time in the possession of RCBC/RCBC Savings or any of their subsidiaries or affiliates. In this regard, I/we also expressly consent and irrevocably constitute RCBC/RCBC Savings or any of its subsidiaries and affiliates, to be my/our Attorney-in-Fact with full power and authority to assert your legal claim over all deposits, securities, properties (real or personal) and other things of value in the possession of RCBC/RCBC Savings or any of their subsidiaries or affiliates, sell these and apply the proceeds of such sale as payment for my/our obligation. Should these funds and/or assets be insufficient to settle my/our obligation or if not such funds and/or assets exist, I/we agree to assign and deliver any deposits or funds I/we may have with other banks or financial institutions to pay off my/our obligations to RCBC. In view of this, I/we consent and authorize the bank or financial institution to disclose to RCBC or its duly authorized representative information relating to any deposit or funds with such bank or financial institution. 7.1 SUSPENSION AND TERMINATION.You may suspend, revoke or terminate my right to use the CARD in the Philippines and abroad at any time with or without cause and without need of prior notice. If, for any reason, my right to use the CARD is revoked, all my privileges shall be terminated and my entire obligation including all unbilled balance shall become due and demandable. I shall hold you free and harmless from any loss or damage arising from the revocation or termination of the CARD, its use and privileges. Continued use of my CARD in case of suspension, termination or non-issuance of renewal CARDS shall be deemed as fraudulent. I understand that if my CARD is suspended or cancelled, I shall continue to pay annual membership fees until my total outstanding obligation is fully paid. (For YGC Employees) I further understand and agree that all CARD/S issued under my name or any of my extension cardholders by reason of my being a YGC employee shall be cancelled upon my separation from employment without need of prior notice. Upon cancellation, all outstanding balance on my CARD/S shall become immediately due and demandable. I hereby authorize RCBC Bankard Services Corporation and my YGC employer to deduct against any salary, commissions, bonuses, allowances, compensation or separation benefits due to me from my YGC employer, if any, such amount to settle and pay all my outstanding balance on the CARD/S issued to me. I hereby hold RCBC Bankard Services Corporation and my YGC employer free and harmless from any claim for damage in implementing this authority. My continued use of the CARD/S expresses my agreement to the foregoing provisions and the other terms and conditions for the issuance and use of the CARDS. 7.2. CANCELLATION OF CARD.I agree that in case of my default or failure to observe any of the terms and conditions of any contract or evidence of indebtedness to one or more CARD/S or credit facilities issued by you, local branches, subsidiaries and affiliates, you may at your sole option or discretion cancel my CARD/S and other credit facilities without the need of further notice. 7.3 VOLUNTARY CARD CANCELLATION.Should I decide to cancel my CARD, I must give a written notice-request to you. My outstanding obligation (including unbilled balance) shall be due and payable immediately upon termination of my account, without need of notice or demand from you. I shall continue to be billed for all applicable fees and charges until such time that my total outstanding obligation is fully and finally paid. I shall inform you in writing should I decide to cancel only my extension card/s. The release of any security given for the credit card account shall be made only after the lapse of 60 days from the last statement date to accommodate the late submission by establishments of billings or charges on the CARD account. 7.4. LIMITATIONS.I hereby agree not to use my CARD for the purchase of items/goods the importation into the Philippines of which is subject to the provisions of CB Circular No. 1348 and all other circulars, laws, rules, and regulations pertaining to importation. Likewise, I hereby further agree and warrant that the proceeds of my cash advance availments abroad shall not be used for foreign investments or the payment of foreign loans in violation of CB Circular No. 1353. 7.5. LIMITATION OF LIABILITY. In any action arising from this Agreement of any incident thereto which I or any other party may file against you, your liability shall not exceed One Thousand Pesos (Php1,000) or the actual damages proven, whichever is lesser. 7.6. NOTICES.All written communications relative hereto shall be sent to me at my billing address herein set forth or at the address that I may hereinafter give in writing to you. The mere act of sending any communication by mail, by telegram, by facsimile or by personal delivery to said address shall be valid and effective notice to me for all legal purposes and the fact that any such communication is not actually received by me, or has been returned unclaimed to you or that no person is found in such address, or that such address is fictitious or cannot be located shall not excuse or relieve me from the effects of such communication. 8.1 AMENDMENTS. You have the right to change, alter, revise or modify this Agreement anytime and I will be notified of these changes. My continued use of the Card, notwithstanding the lapse of seven (7) days from my receipt of such notification, shall be deemed as consent of all the changes, alterations, revisions, or modifications made in the Agreement. If within 7 days from my receipt of such notification, I give a written notice of my intention to terminate my membership and I surrender the Card to RCBC and/or RCBC Bankard Services Corporation, I shall pay my total outstanding obligation to you without need of prior notice or demand. 8.2 WAIVER OF RIGHTS ON LAWS OF CONFIDENTIALITY– I/We hereby agree and authorize RCBC/RCBC Savings to collect, use, process, store, update, and disclose all information, personal or otherwise, relating to me/us or my/our accounts or credit standing in relation to the use of the Card or any products, services, facilities or channels that I/we may avail of now or in the future from RCBC/RCBC Savings or any of its subsidiaries and affiliates. For this purpose, I/we hereby waive my/our rights as defined under applicable confidentiality and data privacy laws in the Philippines and other jurisdictions, including but not limited to, Republic Act (RA) No. 1405 or The Law on Secrecy of Bank Deposits, RA 6426 or The Foreign Currency Deposit Act, RA 8791 of the General Banking Law and RA No. 10173 or the Data Privacy Act of 2012.
d. Compliance with BSP Rules, anti-money laundering and FATCA and such other purpose that may be required or allowed by law. The information in this form shall be retained for a period of time provided as required or allowed under applicable laws, rules and regulations. 8.4 WAIVER.No failure, omission, or delay on your part in exercising any of your rights, privileges and remedies hereunder shall operate as a waiver thereof. No modification or waiver of any provision hereunder, and no consent to any departure therefrom by me shall in any event be effective unless the same is in writing. Such waiver or consent shall be effective only in the specific instance and for the purpose for which given. 8.5 ASSIGNMENT AND WAIVER. I hereby agree that you may assign, discount or otherwise transfer part or all rights and/or obligations under the CARD without need of notice on my part. In the event of such assignment, I hereby irrevocably agree not to assert set-off rights of any obligation which may be owed to me by you against the assignee. 8.6 COMPLIANCE.I agree to fully comply and abide by the provisions of Republic Act 8484 governing the use of the credit card and other access devices in commercial transactions. 8.7 SEPARABILITY CLAUSE.In case any portion of this Agreement is declared invalid or unenforceable, the portions not otherwise affected shall remain valid and enforceable. 8.8 OTHER TERMS AND CONDITIONS.The terms and conditions, reminders and other provisions contained in the SOA, charge slips and such other CARD documents, related instruments or documents are made integral parts hereof by reference. It is agreed that the terms and conditions herein, as well as the aforementioned terms and conditions including reminders, rules and regulations promulgated by you from time to time (the “Other Terms and Conditions”) shall govern the use of the CARD/S issued hereunder. 8.9. VENUE.This agreement shall be governed by the laws of the Philippines and the exclusive venue of any and all suits directly or indirectly arising from or relative to the issuance and use of the Card shall be any proper court within Metro Manila, to the exclusion of all other venues which are hereby waived. 8.10 CONSENT. I hereby confirm that in addition to the foregoing Terms and Conditions, I unconditionally agree to be bound by all laws, rules, regulations and official issuances applicable on the matter now existing or which may hereinafter be enacted, issued or enforced. All the Terms and Conditions herein stated have been read and understood by me as evidenced by my signature on the application form, CARD, and/or charge/sales slips or by my using the CARD.